Tonight I'm taking a look at several AWESOME Pixar stickers that were purchased—and only available at—the famed Pixar Studio Store in Emeryville, CA! In case you didn't know, the Pixar Studio Store is located in the Steve Jobs Building on the Pixar Animation Studios campus and is only open to employees and their families (that's right—sadly it's not open to the public). However, some "strangers from the outside" are welcome to shop the store if they're invited to tour the studio. Inside you'll find a ton of amazing exclusive/limited items. 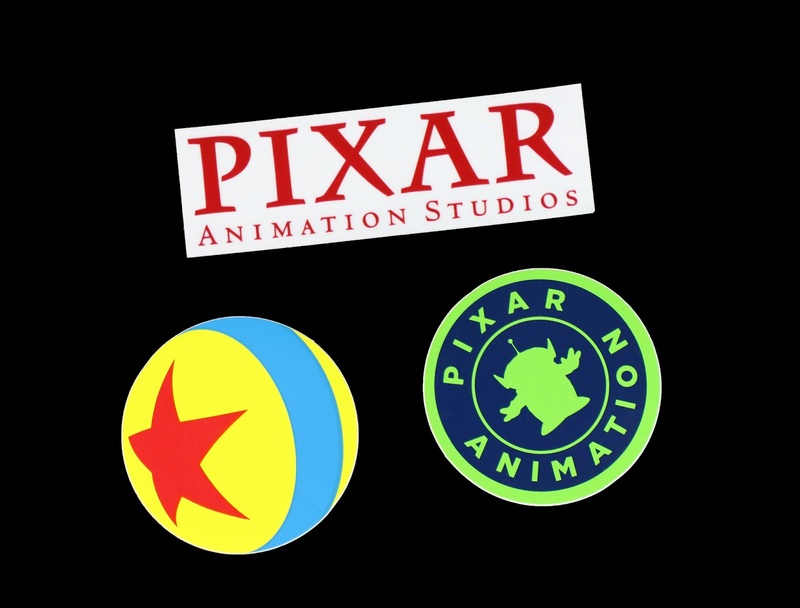 A Pixar fan's dream. Some of you out there reading this have been lucky enough to visit Pixar and shop there...and that is amazing! To that I say...jealous. I've always wanted to go, but have yet to have that opportunity. One day though! Until then, I'm again grateful for my friends who have sent some really fun items to me from their visits to the store. With that said, another big thanks to my friend [Disney freelance Artist] Jerrod Maruyama who surprised me with these in a recent care package! Super generous. These stickers are SO cool. They are for sure the quality type of stickers that can be used to decorate a notebook, laptop, desk, car windshield...whatever! I haven't decided where they're going to go, but you know I will soon enough. On my iMac maybe? Either way, I'm so thrilled to have a Luxo ball sticker—plus anything with the basic "Pixar Animation Studios" logo automatically wins in my book. I'm excited to place these around, wherever they might go! What do you think of these stickers? Do you have a fave? If you've been to the Pixar Studio Store, what was your experience like? Shout out all your thoughts in the comments below.